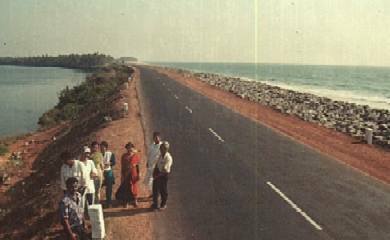 ' Witness the remarkable beauty of this majestic beach.It is also well known for the uniquenss of the scene we witness.The road you see is the National highway 17 which is bordered on one side by the Arabian sea and on the other by the Satupurnika river.
' 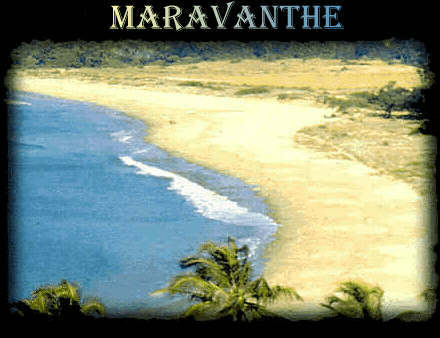 To experience the beauty of this spectacle which runs for a few kms one must witness the sunset either on the beach or take a drive along the stretch. It's truely a sight to cherish. Caution:This beach is not adviced for swimming as it has very unpredictable currents.